This morning I set out to try the Scaffold Identity option that was added as part of the ASP.NET 2.1 release. The docs for this feature is really good so I didn’t think I would have any issue, but I was wrong. 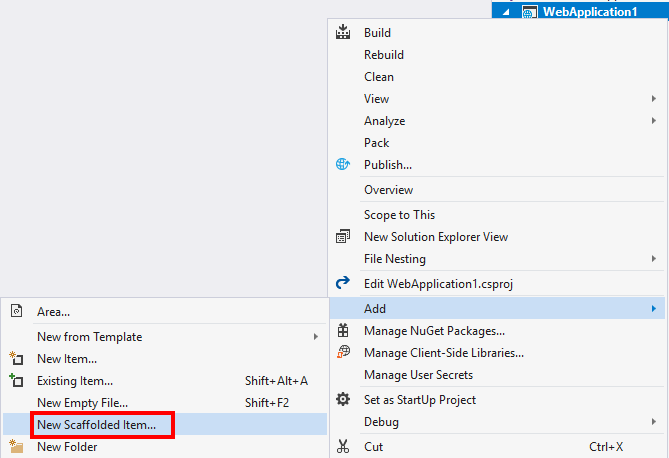 To start I used the .NET CLI to create a new application using the following command. I then opened the project in Visual Studio. Then following the docs I right-clicked on the project and expanded the Add option, but the New Scaffolded item is missing. Since the project created using the CLI didn’t have the option I thought I would try creating a new project in Visual Studio. 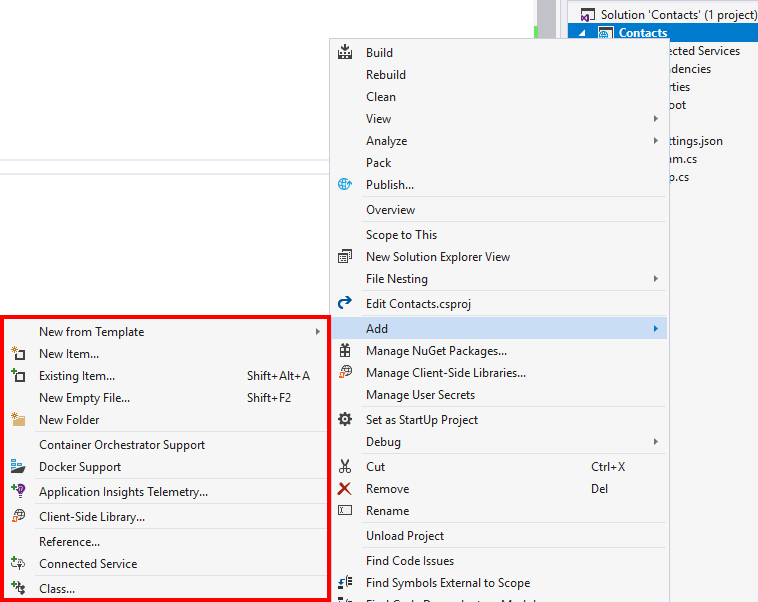 From in Visual Studio using File > New > Project. 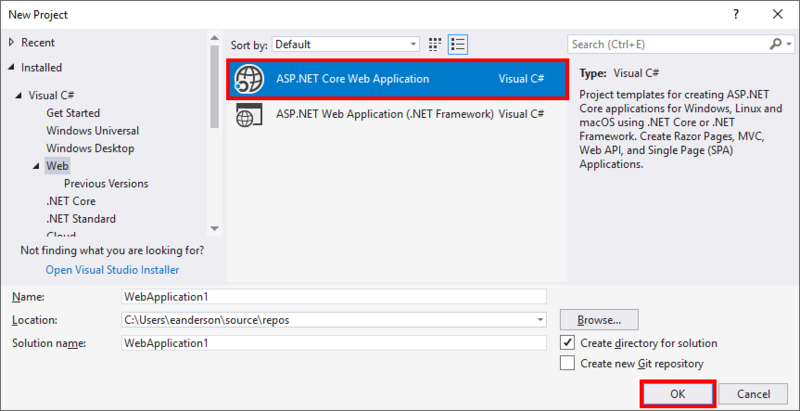 Under Visual C# > Web select ASP.NET Core Web Application and click OK. Select Web Application and then click OK.
After the creation process finishes I right-clicked on the project and expanded the Add option and the New Scaffolded item is there. After trying a lot of different things I finally got to the point of looking at the csproj files for both projects. 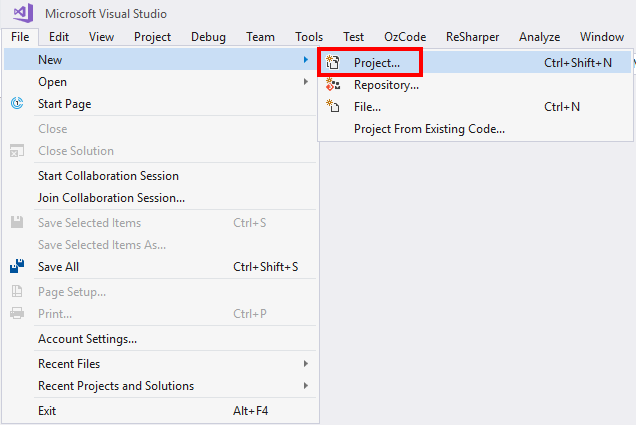 Here is the csproj from the Visual Studio create project. And the csproj from the CLI created project. Notice that the CLI created project is targeting .NET Core 2.2 which is in preview at the time of this writing. Not surprisingly Visual Studio has some limits on what can be done using preview bits. I can’t believe that I let having preview bits installed cause me issues again. I’m guessing that most people aren’t installing the previews so hopefully, this isn’t an issue most of you will have to deal with. If you do want to use the CLI to create an application targeting a specific version of .NET Core it can be done using a global.json file. 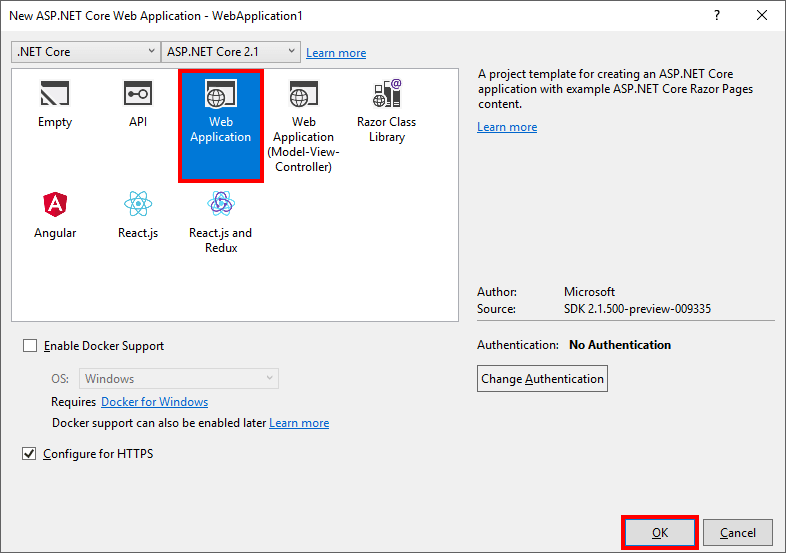 Check out Controlling .NET Core’s SDK Version for more information.